The traditional design of our Victorian conservatory allows you space and versatility without compromising on its beautiful style. Those who prefer a more traditional design for their home will inevitably find themselves drawn to the time-honoured Victorian conservatory. A classic piece of British architecture, the Victorian-style conservatory continues to be a popular choice for many homeowners in West Yorkshire today. Add a touch a sophistication to your home by enhancing it with a Victorian conservatory from us. Select Products offer highly competitive prices on all our conservatories. We supply and fit our sought-after Ultraframe Victorian conservatories across the county including Leeds, Harrogate, Bradford, Horsforth, Pudsey, Ilkley, Otley, Wetherby and Yeadon. With over 20 years of industry-leading experience, you can be sure you have left your home in capable hands with us. Here at Select Products, we provide you with only the highest quality conservatories to enhance your Leeds home. 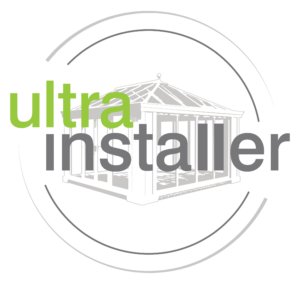 A Victorian conservatory from us will be installed with Ultraframe’s innovative, unique roofing system fitted as standard, and you can rest assured knowing that your Victorian conservatory will be built to the highest specification as all our expert fitters are BBA certified Ultra-Installers. Ultraframe is the world leader in conservatory roofing manufacturing, with over 30 years of experience constructing high quality, durable conservatory roofs. In the past 25 years, Ultraframe has supplied the UK with over 1 million highly functional and efficient roofing systems, and every Ultraframe product carries a 25-year BBA life expectancy certification as proof of their excellence. The Victorian conservatory is often the first style to spring to mind when people talk about conservatories, mainly due to its immense popularity in properties both old and new. Inspired by an era in which elegant and ornately styled architecture was much sought-after, the Victorian conservatory expresses the romanticism that was celebrated during the Victorian times. The Victorian conservatory is characterised by a steep, ridged roof combined with a bay front area. Boasting beautiful crestings and finials, this Gothic style is certain to add an elegant, dramatic flair to any home. The octagonal design typically consists of a three or five facet bay which projects outwards from your property, providing you with a wonderful view of your garden or outside space. Despite its historical beginnings, a modern Victorian conservatory can now be made from a variety of state-of-the-art materials including uPVC and aluminium. This provides them with a host of cutting-edge features such as high security and exceptional energy efficiency. Our universally-flattering designs will allow any style of home to benefit from their high-class features. Our stunning range of Victorian conservatories is available in a host of colours and finishes to allow you to find the ideal style to complement your home’s existing character. With our wide range of design options, you can be sure that your Victorian conservatory will suit your property perfectly, and will never look like a later addition or afterthought. Suitable for gardens of any size, the Victorian conservatory’s rounded edges will blend seamlessly into your residence, maximising all available space. 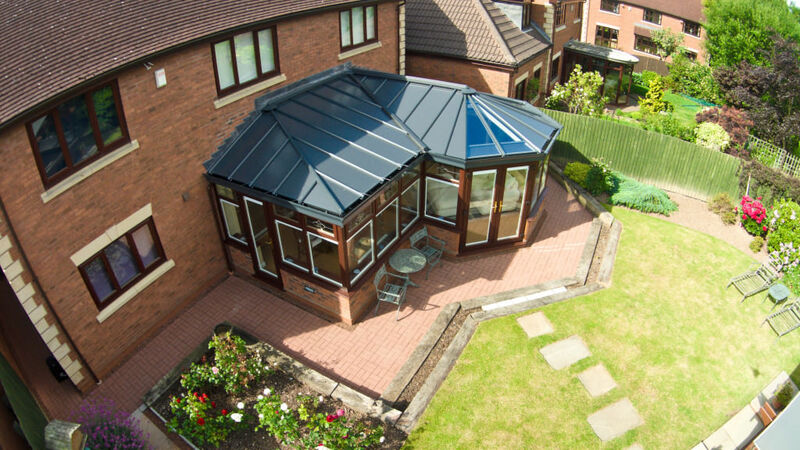 Extremely versatile, these conservatories can even be extended to fully utilise longer gardens. Victorian conservatories are an ideal way to add value to your property and to provide your family with invaluable additional living space. Our customer’s safety is our priority here at Select Products. Just because it is made predominantly of glass doesn’t mean that your Victorian conservatory has to be any less secure than the rest of your home. The superior fit of our conservatories protects your property against unexpected draughts or security weak spots. For added peace of mind, all our conservatories are fitted with high-performance multi-point locks as standard to provide your family with second to none defence against any would-be intruders. All the glass used in our conservatories is also internally beaded, making it nearly impossible to be removed externally. It is essential that your Victorian conservatory demonstrates adequate heat retention so that your new living space is not drawing heat from the rest of your house. Here at Select Products, we provide energy efficient options for all our conservatory models so that your home addition can display unbeatable thermal performance. Our thermally-efficient Victorian conservatories work by trapping pockets of warm air inside their specially-formulated inner structure. Not only does this increase in thermal efficiency, it also benefits the environment by reducing your home’s carbon footprint. Opting for an energy efficient design could save you money on your heating bills. 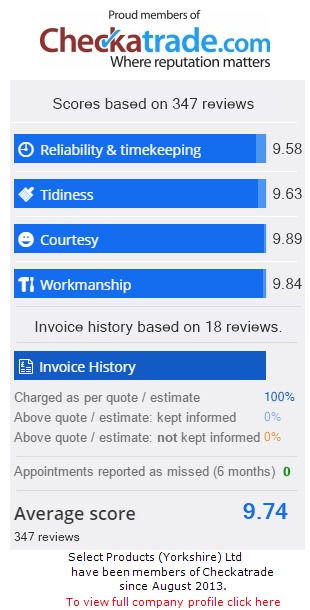 We are so confident in the outstanding quality of our Victorian conservatories that we will even present you with a 10-year guarantee, thanks to insurance backed by Home Pro. We are also able to provide extra cover through Ultraframe’s conservatory roof guarantee, so you can sleep easy knowing that your Victorian conservatory is completely covered. We will even present you with a 10-year guarantee, thanks to insurance backed by Home Pro. We provide extra cover through Ultraframe’s conservatory roof guarantee so you can rest easy knowing that you are completely covered. We are a highly reputable FENSA-registered company. We carry an outstanding range of conservatory designs, colours and finishes. 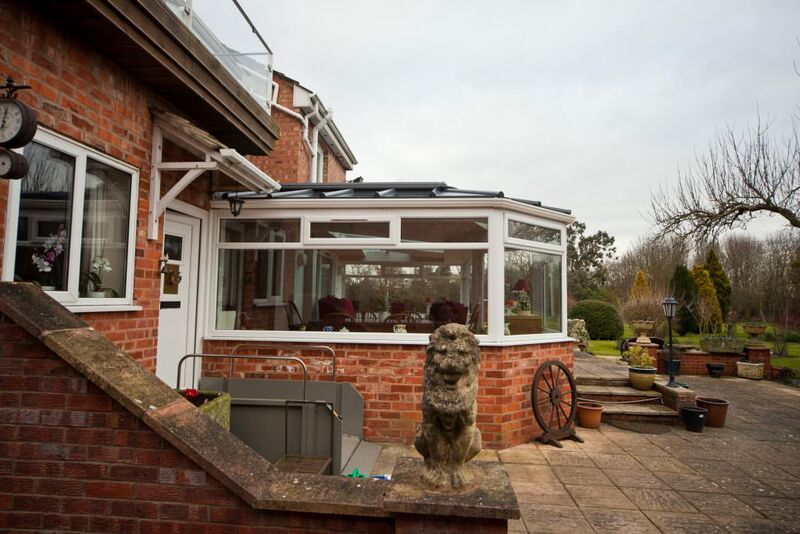 We are made up of a friendly team of conservatory installers that are experts in their field. We also offer energy efficient conservatories for maximum thermal retention. All our installers are approved Ultraframe fitters and are BBA certified. Do you think a Victorian conservatory would be the ideal addition to your home? Get a free, no-obligation quote instantly with our super easy online conservatory quote engine. Answer a few simple questions, pick your favourite design and generate your unique price at the click of a button. Alternatively, to speak to a member of our team directly, you can get in touch with one of our double-glazing experts via our online contact form or phone us on 0113 257 8933. Let us provide you with the perfect Victorian conservatory for your home, no matter your taste and budget.